Facebook! It is one of the most common and still beloved craze for the users of all around the world. Although the entire social media industry has emerged as a big entertaining tool, Facebook is undoubtedly the most popular of all. It is preferred by all the age groups. It is an ultimate way to stay in touch with family member, relatives abroad and old & new friends. Are you a member of Fb? I am sure you would be. Why Fb is so popular..?? It is popular for the ultimate services available and it’s brilliant presentation. It is a natural thing that you would be attracted towards the eye-catching effects. Chat have become so interesting with beautiful smileys. 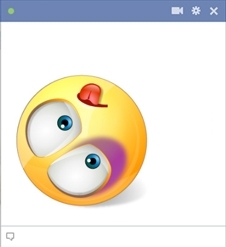 Imagine a chat without smilieys on Facebook! Ahh!! So boring!! These add the charm and enjoyment to the conversation. A taunt without the symbol of sticking out the tongue (: P) is incomplete. This automatically brings a big smile on the face of the user. How to make your chat even more entertaining? Fb is popular for new experiments every day. 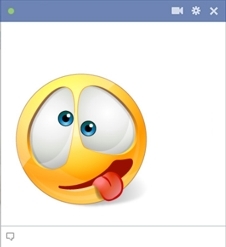 Facebook smiley codes are the recent experiments of Mark Juckerberg. Users feel boring from the use of same codes; hence, these effective smiley codes induce the feeling of freshness into the chat. It is the modern era of digital world. These codes are graphically best and look amazing. Fb is possibly the easiest search engine. So, as the smiley of Facebook would be! There is an in-built application provided by Fb. Also, there are a few websites that provide smiley codes. What you need to do is to just go on the link, copy it and paste it on the message box, chat box, wall or even own timeline and it’s done!! Life is too short to settle for average in life!! Make your life and chat interesting with these beautiful smileys!!!! !